1. 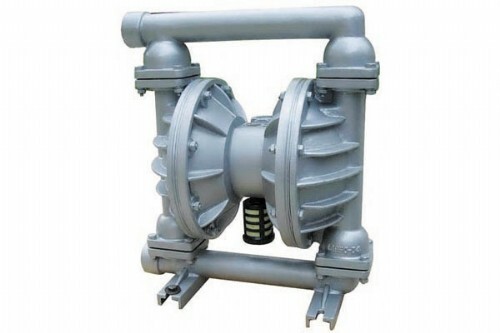 An air operated diaphragm pump designed for simplicity in operation and maintenance. 2. Safe for use in explosive environments. 3. The Metal pump liness provides the durability,chemical resistance,abrasion resistance,and temperature range required for a variety of process and waste applications. 4. The standard material combination is composed of aluminum casing and neoprene diaphragm,balls and valve seat fot general purpose non aggressive applications such as in oil and petroleum based fluids. Cast iron,316 stainless steel and hastelloy casing materials are available as well.